Sometimes an image in monochrome can convey more emotion than one in colour. The lack of colour helps remove some of the distracting elements from the image allowing the underlying meaning of the picture to become more apparent. 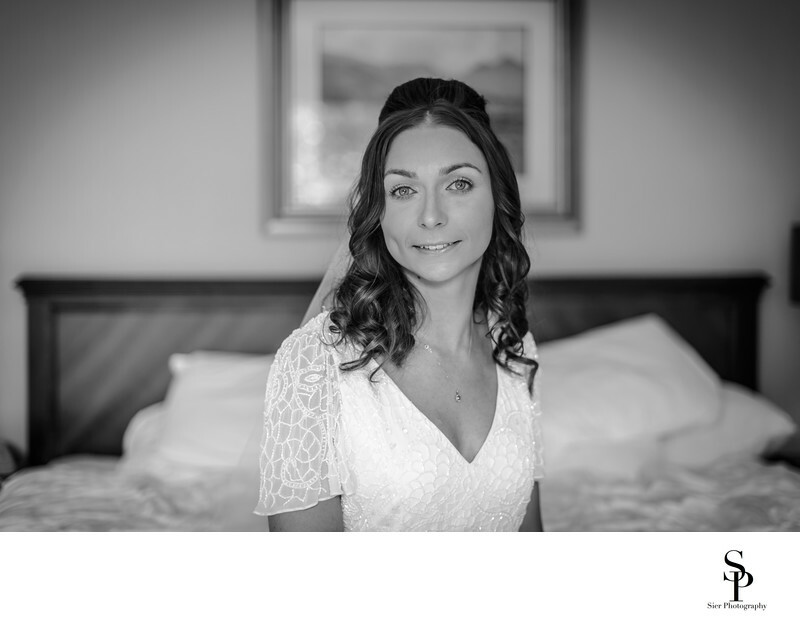 This image was taken at the Kenwood Hall Hotel in Sheffield in one of the Bridal suits overlooking the lake. Our Bride was ready and waiting to be collected by her father and walked up to the house, the old part of the hotel complex for the Wedding ceremony. The image below was taken very close to the village of Wentworth in South Yorkshire. The couple had just been married in the Holy Trinity Church in the village, the spire of which can be seen above the trees. A stunning setting for a wedding, one we won't forget in a hurry and one we would be only too happy to return too in the future. 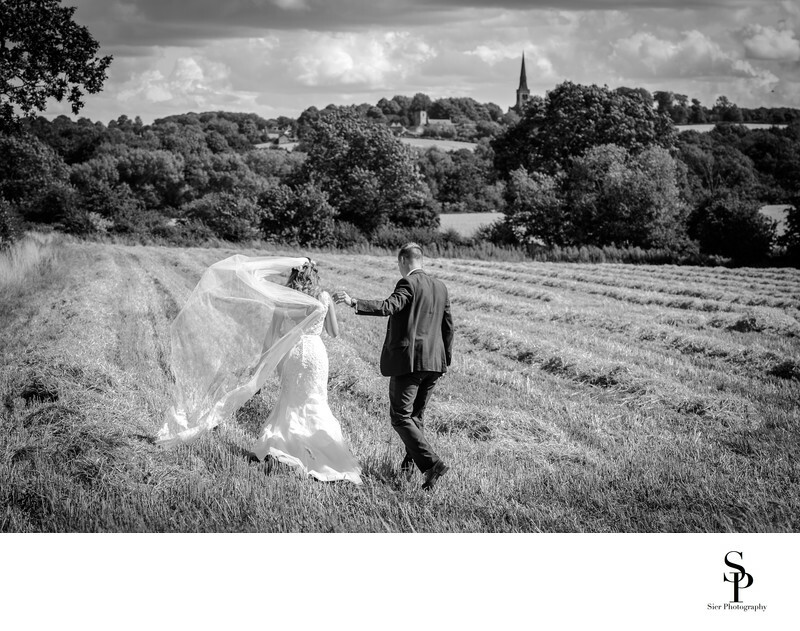 The image above of the couple in the cornfield though taken on a bright sunny day gains something from the removal of the distractions of the colours of the English countryside. It is also possible to mix colour and monochrome into one image by picking out certain areas of a monochrome image in colour such as this image below which was taken in Elmfield Park in Doncaster, South Yorkshire. 1/200; f/1.4; ISO 110; 50.0 mm.